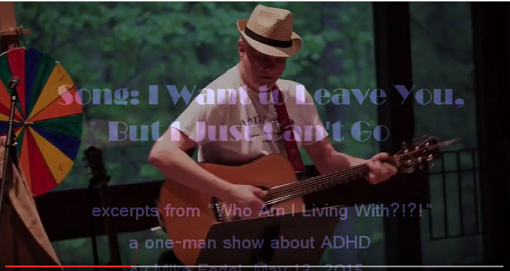 I’ve put up a few clips from the June 2015 performance of my one-man show on ADHD “Who Am I Living With?!? !” They are in a playlist at this link: WAILW 2015 playlist. There are currently 3 of them. I’ll put up more later. “I Want to Leave You” – a short blues tune. I hope you enjoy these. Please send any comments or feedback. I’m not sure where or when I’ll be doing the show next, but watch for it! The show was Tuesday night and I spent most of yesterday catching up on things I’d been putting off until “after Tuesday”. (1) It went well. The Q and A afterwards was especially good, which is great because that’s kind of what I’m really after. Introducing people to new information and then getting them to talk about it. That said, it IS a lot of fun getting up and doing characters and bits I’ve written. I have a whole stack of comments that I wrote up at about 5a.m. Wednesday, but I wanted to put a couple of them down here. – I’m glad the song “Mommy, Which Daddy?” went over. I like the underlying theme, I like the structure and arrangements, but there are a couple of parts that are just embarrassing. “Will my kids walk on eggshells whenever I’m around? I really won’t like it if they do.” Incredibly clunky. I left it like that, though, because it’s being sung from a kid’s point of view and I think they might say it that way. But it hurts singing it! – Lou’s character (representing ADHD as a disability, not a gift) became a gay man during a run through on Sunday. It was a whim – I’m not much of a actor and wanted to try on different characters. What I really liked was the line about “I don’t want to be identified by one aspect of my personality.” So, I kept it. I personally found that saying the line “I love him and know that he loves me” flowed very naturally. So maybe I’ve added one dimension to my acting. Still not comfortable trying different ethnicities or accents, but at least I got a little bit out of myself. – I really appreciated everyone who showed up and their level of engagement. I watch for nodding heads and for cross-talk among audience members and there was plenty of it, so that felt good. – To everyone who was there: I really think I should NOT have shown that last video. The wire between that laptop and the sound system was the one piece of tech I left home and maybe unconsciously that’s why I didn’t show the video where it was scripted. The decision to show it was impulsive and I think, in the long run, a bad choice. There was good information, but I think it looked really silly and forced out of the context of the show itself. So, sorry! At about 5 this morning, I realized I wasn’t going to fall back asleep, so I decided to put the time to good use. One of the remaining tasks on my list is to have a website up that will expand some of the bits in the performance and serve as a place for reference links. I’ve run through most of the bits and it looks like over 4 hours of material, including audience participation and raucous applause. So it’s time to start trimming. I hate this part. There is so much that could be said about this topic! On the other hand, I can be really wordy, so it’s good discipline. Posted on May 7, 2015 by Mike Fedel Tagged ADHD - mineADHD ADD Performanceperformance	CommentsNo Comments on Mommy, Which Daddy is Coming Home Tonight? Mommy, Which Daddy is Coming Home Tonight? 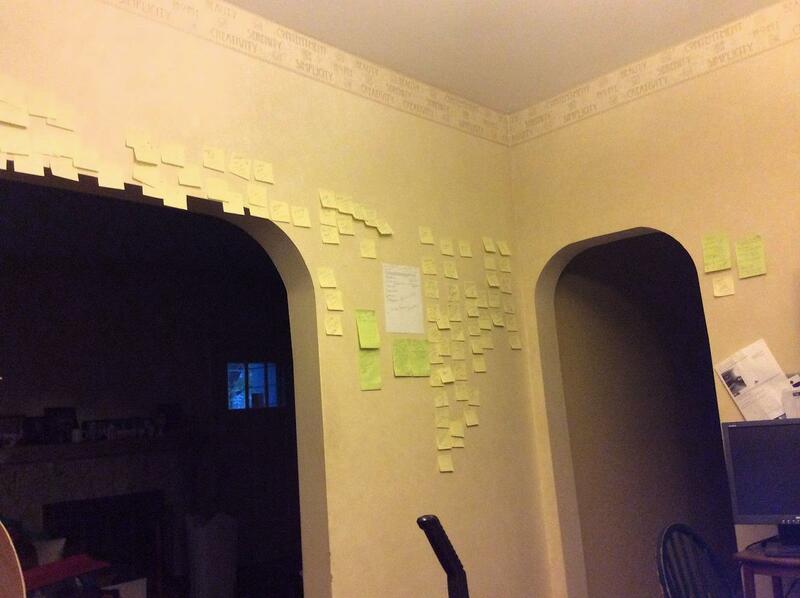 Among the stacks of Post-its and scribbled ideas for the performance” was a one-liner: “Mommy, which daddy is coming home tonight?” It’s for a song I want to include in the show. I thought it was about unpredictability – “will it be happy dad or stressed out dad?” but now I think differently about it. I think it’s about a kind of PTSD we can cause around the house. The more I talk with people and read posts on the various FB pages, the more I become aware of the hidden damage we cause. ADD people love their kids as much as anyone else – maybe more – but I don’t think we understand the impact our little explosions can have. The more I unpack the last 20-plus years, the more clear it gets. Lisa and Jean both talk about “walking on eggshells” around me. I never understood that. From the inside (and many ADHD people have validated it), it looks like this: we get frustrated, we explode, we get better. Quickly. It’s gone, purged, and we’re back to normal. From the outside, so I’m told, it’s different. It’s like of like PTSD. Yes, the explosion happens and then it’s gone, but the non-ADD people around you are tense, waiting for the next one. So it isn’t the explosion itself, it’s not knowing when the next one’s coming. I’m not sure what the fix is, but it gave me a lot more to work on in trying to build this song. Checking in at the end of the day. Got a lot done. Feeling great. Last night, I went to bed tired and a little anxious about “Who Am I Living With?!? 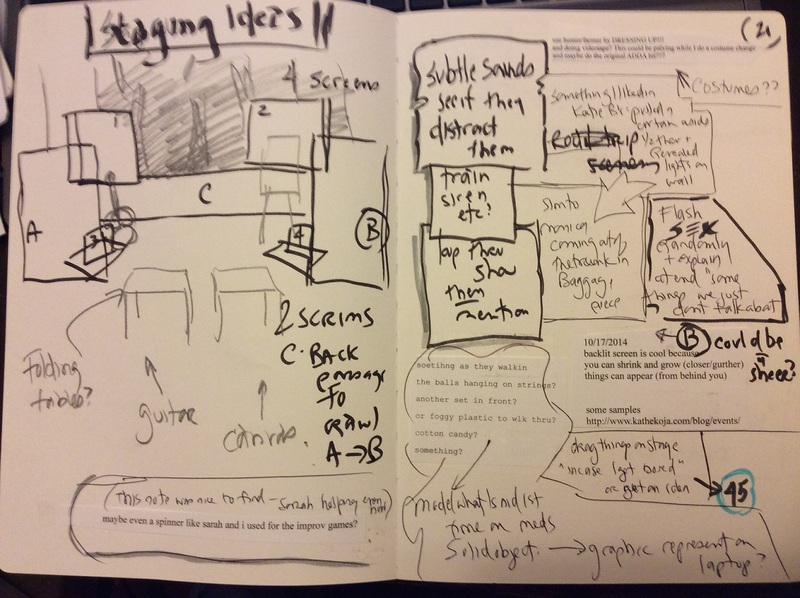 !” I have dozens and dozens of bits half written and more percolating in my head. This morning, I woke up feeling 100% confident I can put this together, probably in 1 day. It’s 1 p.m. Let’s see where I am by bedtime tonight. I usually work this way. Correction, usually i would be pulling it together right up until day-of. I don’t mind, I’ve worked that way forever and it usually comes together. But this time, I need to be done sooner for two reasons. First is that I have a couple of people who are willing to watch it for me and give me input. 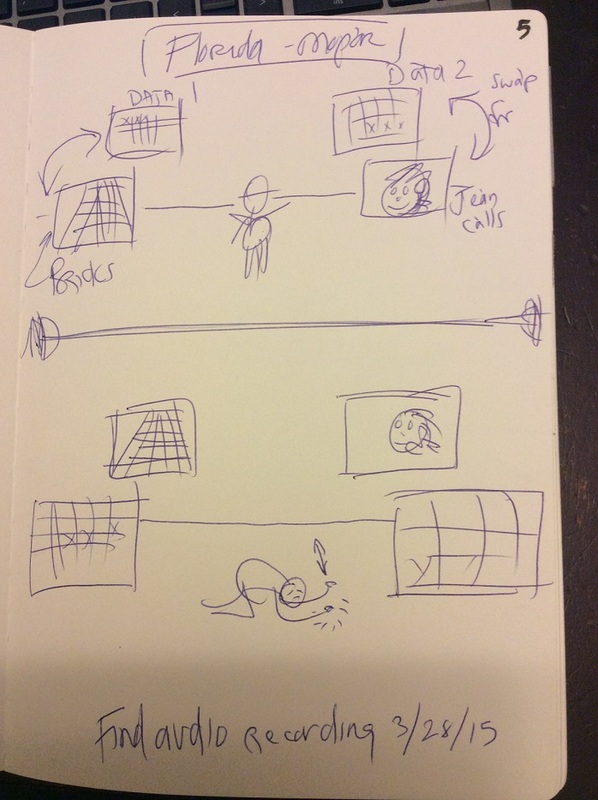 The other is that I want to write a script that could maybe be performed by someone else. So, my entire approach of waiting till the last minute has to change. I’m used to leaving maybe 20-40% open for adlib. This time, I want to reduce that number to maybe 10%.